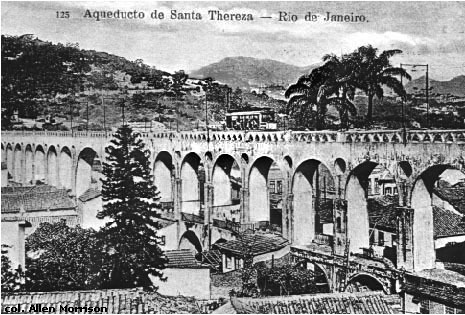 disused aqueduct between Santa Teresa and Santo Antônio hills. 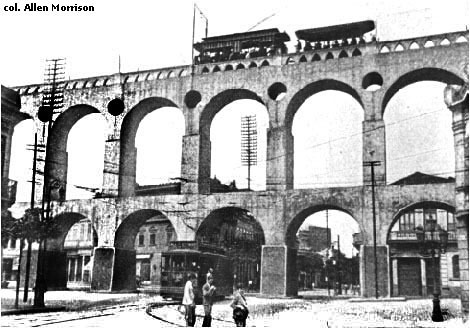 "Os Arcos da Lapa", as Brazilians call the structure today. 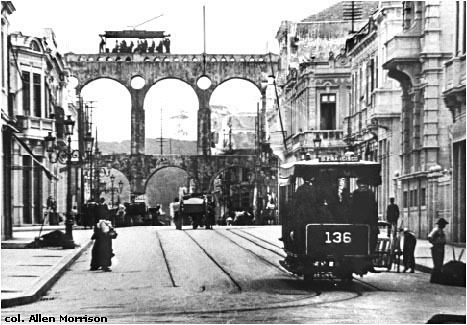 Avenida Mem de Sá, about 1900. Horsecars continued to run on the streets below for another 14 years. 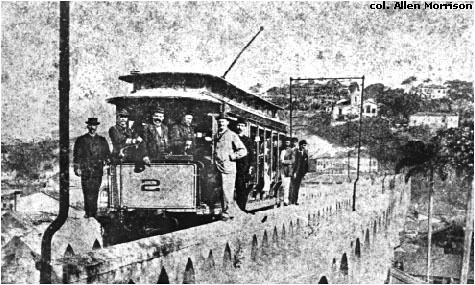 of Rio de Janeiro, Tramway, Light & Power.